Chef Kevin Sbraga discovered his passion for food and blending flavors while growing up in his father’s bakery, which he owned for 44 years in his native Willingboro, New Jersey – the place he still calls home. He credits both of his parents for inspiring him to love cooking and teaching him the importance of quality ingredients, customer service and following your passion. Chef Sbraga has worked along-side several notable and respectable names such as famed Chef Georges Perrier, famed restaurateur Stephen Starr, and Philadelphia restaurateur and Iron Chef winner, Jose Garces. Among his biggest accomplishments, Chef Sbraga’s culinary talent garnered him national attention as he was chosen as a semifinalist at the famed Bocuse d’Or USA culinary competition. For those of you food-on-TV junkies, he was also Bravo’s Top Chef: Season Seven Winner!! 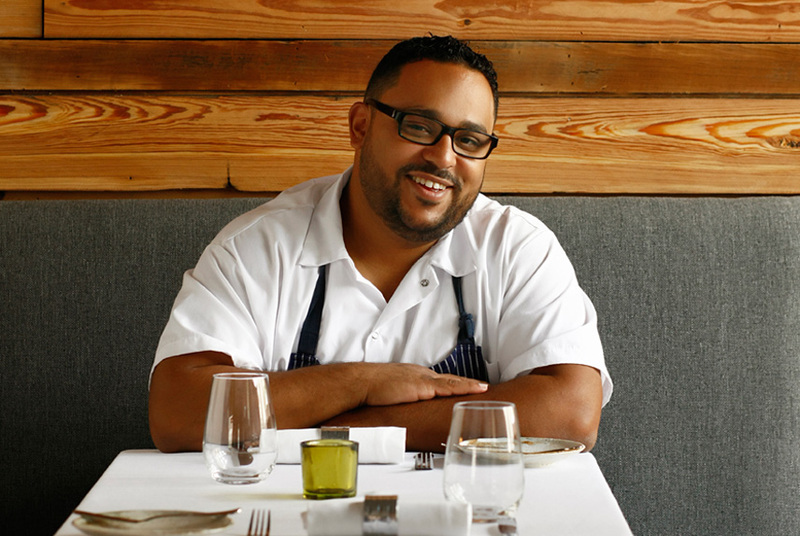 Chef Kevin Sbraga opened “SBRAGA,” a modern American restaurant located on Philadelphia’s lively Avenue of the Arts. He prepares inventive, seasonal fare with a focus on local and sustainable ingredients. The intimate 60-seat dining room features a $45, four-course prix fixe menu of Chef Sbraga’s artful interpretations of American cuisine, as well as desserts from his talented wife, Pastry Chef Jesmary Sbraga. Sbraga is a must try! This entry was posted on Tuesday, February 7th, 2012 at 10:14 am	and posted in Judges, Philly Chili Bowls. You can follow any responses to this entry through the RSS 2.0 feed.